Hugh Jackman may be a world-famous movie star, but to his son Oscar, 13, he's just a regular and often-embarrassing dad. 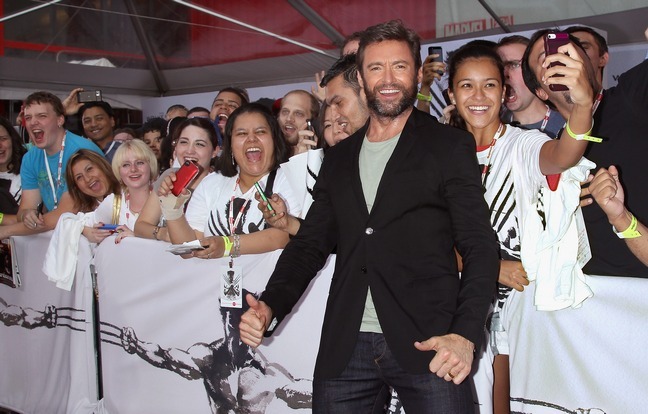 Hugh has been out promoting his latest movie, The Wolverine, which is due out today. Hugh shared that at thirteen, Oscar is growing increasingly embarrassed over the attention from fans, as well as his famous dad talking about him in interviews. I think most parents of teens can relate. We all think that "our" kids won't be embarrassed and eager to avoid us in public, but it inevitably happens anyway. Even for movie stars.